It was just a matter of time after the huge success of the British costume drama Downton Abbey to see it appear on the runway. 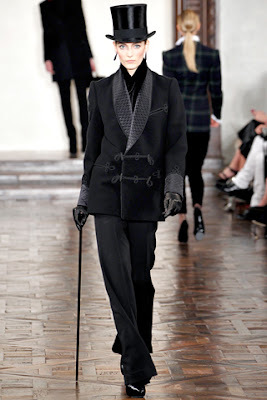 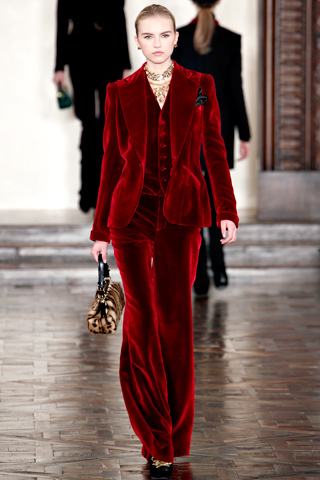 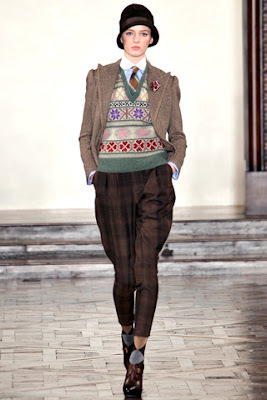 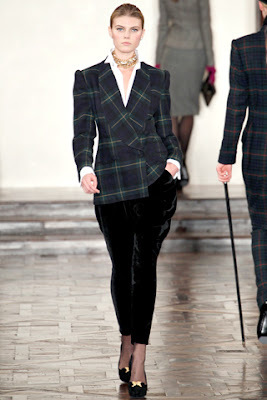 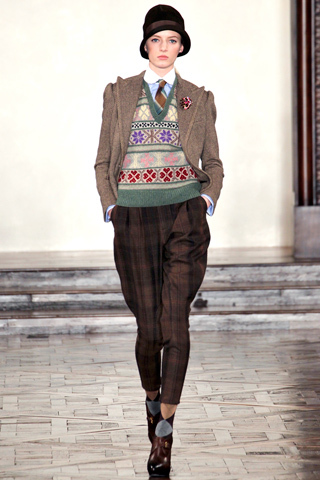 Ralph Lauren showed us menswear inspired suits, vests and trenchcoats inspired by the English aristocrats. All in a autumn color palette of black, navy, grey, brown and some gold accents. 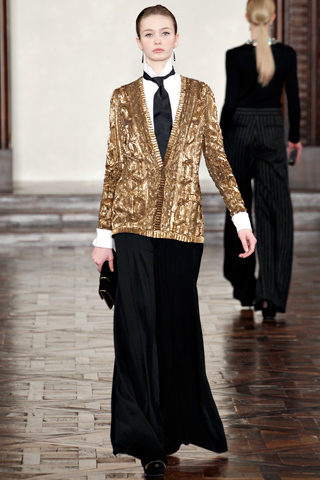 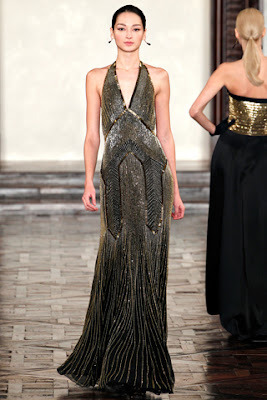 As the show progressed the garments bacame more and more feminine.